Last year, Stephen Hillenmeyer Landscape Services of Lexington, Ky., celebrated a milestone that not a lot of businesses get the chance to brag about: its 175th anniversary. But it wasn’t long ago that all that history was boxing the family-owned brand in. The Hillenmeyers wanted to expand — offering not just landscaping but a full range of lawn-care services. However, efforts to offer new services only confused customers, who were too used to thinking of the company as solely a landscaping business. Related: Should You Franchise? How to Decide. The solution: Starting in 2003, the family operated its old business while also buying into franchises. It has opened up three Weed Man locations (to provide lawn upkeep) and one Mosquito Authority (to help keep pesky bugs away). 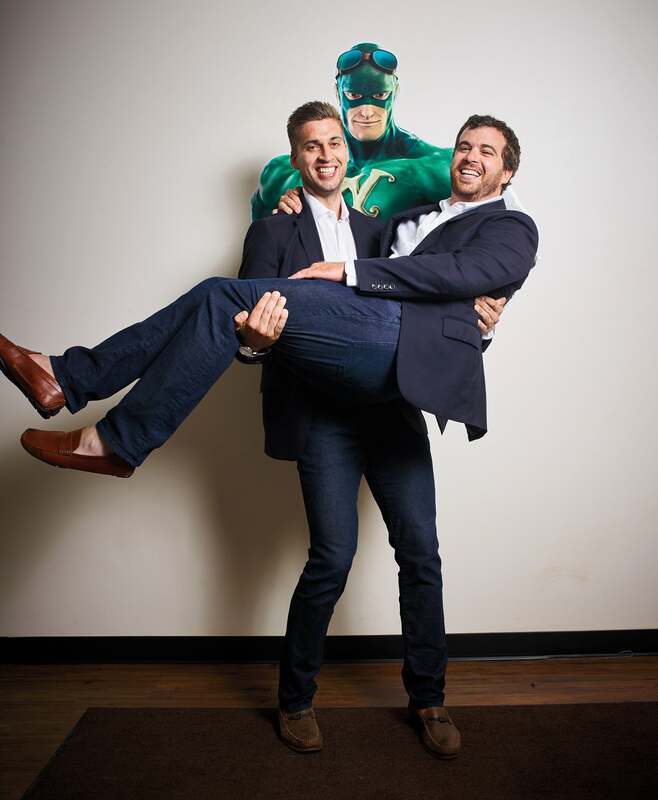 Now sixth-generation co-owners Seth Hillenmeyer and his brother, Chase, are juggling it all, making sure the landscaping and franchise operations receive equal attention, and capitalizing on the benefits that come with both. What did you see in franchising that you couldn’t get from your already successful business? Chase Hillenmeyer: The branding and marketing potential. We had tried to get into the lawn-care market and people just didn’t associate the Hillenmeyer brand with lawn care. We needed to differentiate and bring some brand awareness and recognition, and that’s what the franchise names gave us. Have there been other benefits to franchise ownership, aside from name recognition? Seth Hillenmeyer: Weed Man does such a good job with processes and business plans. That was one of the foundational pieces for us. It helps us plan the entire year, from how many pieces of paper we’re going to use to how many pounds of fertilizer we’re going to spread. It’s the road map we live by. Chase: Weed Man also has a great sub-franchisor system. There are about 12 sub-franchisors throughout the U.S., and they’re responsible for developing the brand in the area. They serve as a resource for franchisees within the territory to discuss best strategies. The amount of support and guidance we get from our sub-franchisor is invaluable. It’s like having a consultant on speed dial. How do you manage time between all these businesses? Chase: For a few years, we struggled to balance the Hillenmeyer brand and the franchises. We didn’t spend a lot of time or resources on finding that balance; we just kind of did it. But now I’m a firm believer in having one of the owners dedicated to driving things at the franchises, which is why Seth is there day to day. Seth: I spend 100 percent of my time on the franchises — about 20 percent goes to Mosquito Authority, and the rest is given to our Weed Man locations. They’re the largest parts of our business and require the most attention. Chase: There’s a lot of moving parts, and you really have to be on top of it. When we have been really involved as owners, that’s when we’ve seen the best results. Related: Franchising’s Million-Dollar Question: How Much Money Can I Make? Have there been any unexpected challenges in juggling three brands? Seth: Instilling our culture on a day-to-day basis at the franchise locations has been a big challenge that we didn’t anticipate. We kind of took it for granted — being part of a family business, we inherently understand our culture. But it was a big paradigm shift for us to realize how involved we need to be at our franchises, to talk about our mission, our vision and our core values. It’s not something you ever fully accomplish, but it’s something we’re focused on now, and something we want to be sure is communicated to all our employees across all of our brands.